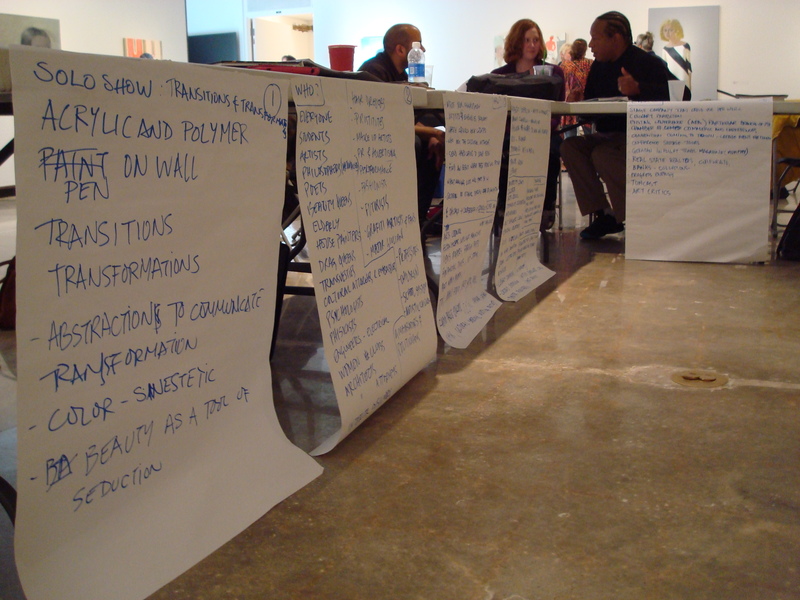 All artists have a different creative process as their work moves from conception to fruition. Composers, particularly those writing for orchestra, face a unique set of challenges in bringing their creations to life. Even established composers have trouble hearing their pieces performed, bringing Pulitzer Prize winning composer Kevin Puts to write, “Every composition student is told never to write a long piece for orchestra because it will never be played. This is good advice.” While orchestras experiment with ways to reach new audiences, they still primarily perform selections from the classical music canon that has developed over the last 100+ years and mostly features dead, white, male European composers. Throughout Florida, our universities are training the next generation of composers who all hope to hear their works move from the written page or computer screen to the concert hall. In Tallahassee, some of these composers have rallied musicians with a passion for contemporary music to guarantee that new pieces will be heard. In anticipation of the Tallahassee Composer’s Orchestra’s debut concert on Monday, November 25, I chatted with composer/conductor and orchestra co-founder Jamie Whitmarsh about the group and their upcoming performance. 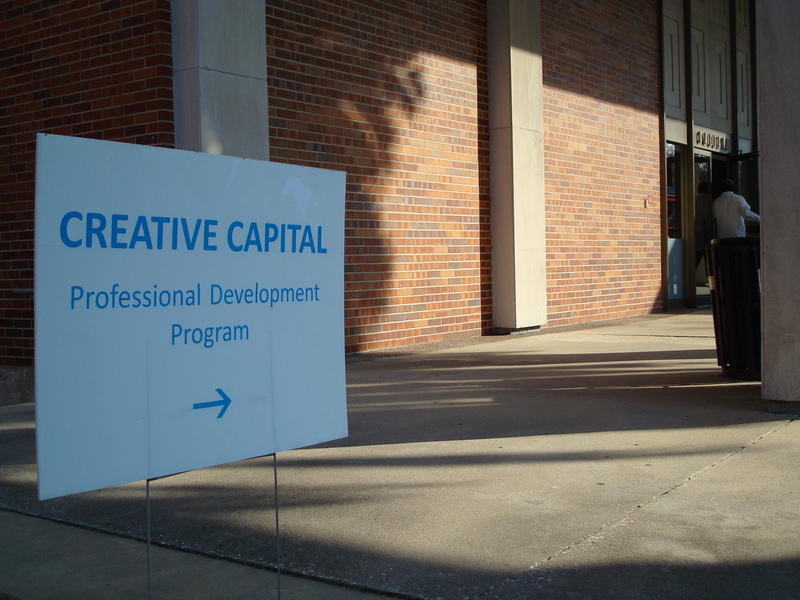 DCA: Jamie, this seems like a great project that will benefit not just the Tallahassee music community but promising young composers more broadly. Where did the idea for the Tallahassee Composer’s Orchestra come from? JW: The TCO began last spring when Joshua Burel and I were hanging out and talking about composition related topics. Somehow it evolved to where we were both quite optimistic about assembling a group from the ground up to perform new music. Additionally, from the beginning we were both in agreement about programming Daniel Nelson’s Clarinet Concerto. So we knew fairly early on that this wouldn’t necessarily just be a concert of music by Tallahassee composers, since Nelson currently lives in Europe. 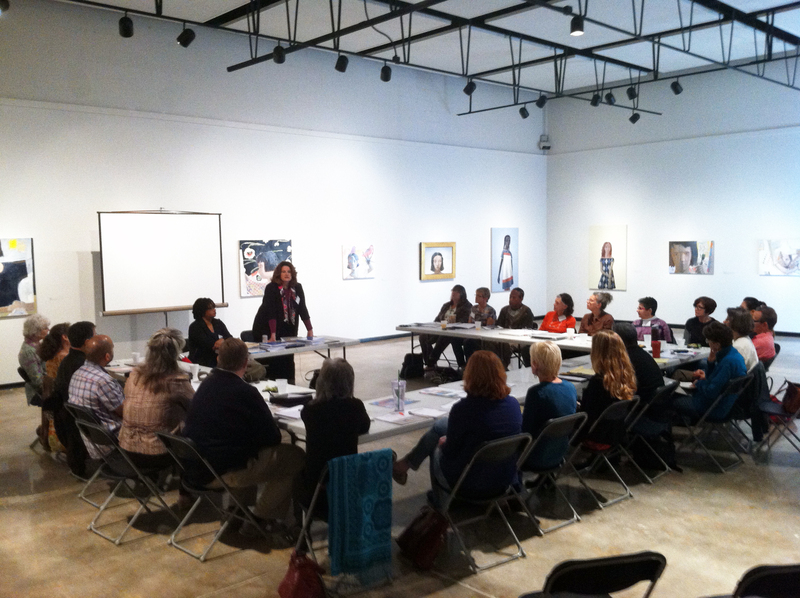 DCA: The Division of Cultural Affairs really believes in the importance of supporting individual artists, since they create the works that fill our galleries and performance halls. Previous recipients of our Individual Artist Fellowship for music composition have used their awards to support the performance of their work, but putting an ensemble together is not easy. What challenges have you faced while forming the TCO? JW: There is always a chance that something like this could have problems getting off the ground. Assembling a 50+ piece orchestra from scratch is no small task! I think there were a couple of advantages we had going into this. One advantage that helped us recruit was that Josh and I had performed with or worked in some capacity with many of the performers in the group. Additionally, we are very much in the trenches with these performers. For instance, Josh is the concertmaster and I am performing the solo part on Joseph Craven’s Concerto for Tenor Pan in C. So there is definitely an attitude between Josh and myself that we don’t want to ask our performers to do anything we wouldn’t do. DCA: Florida has produced a number of successful composers, and this concert will be featuring pieces by yourself and Joshua Burel who are currently local. Are there any Florida composers you’ve come to admire or who have influenced your work? JW: Since I’m from Oklahoma, I’m not as familiar with the composition culture in the lower half of Florida as I might be in a few years. I have certainly enjoyed working with Ladislav Kubik and the rest of the composition faculty at FSU. Clifton Callender’s Metamorphoses is a great piece. Working with Dr. Zwiilch is great as well; being able to form that relationship over time has been beneficial. 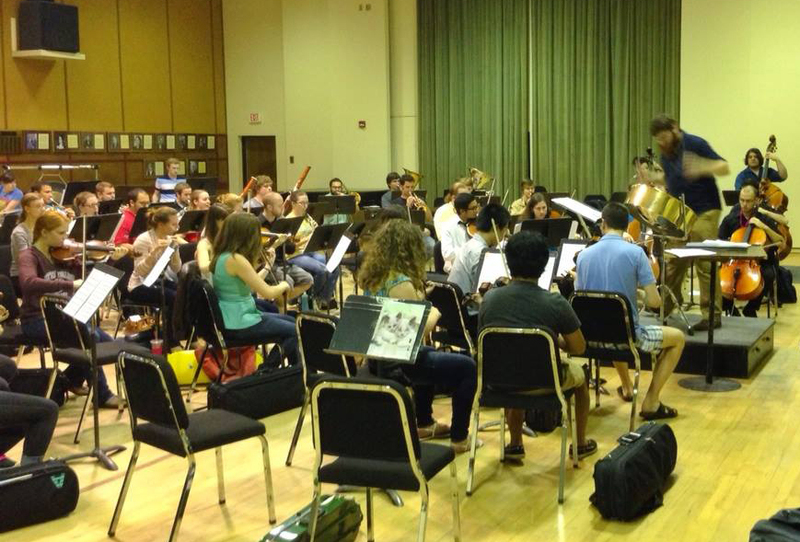 Jamie Whitmarsh leads the Tallahassee Composer’s Orchestra in rehearsing the Concerto for Tenor Pan in C. Photo by Bryan McNamara. DCA: What can you tell me about the pieces that will be performed on Monday night? JW: The concert opens with Crooked Sketch by Joshua Burel. It runs around 3 and a half minutes, and is designed to be a flashy concert opener. Following that will be my piece For Many Chairs (my crow some funny). If you were to pronounce the title several different ways, the nature of the piece might reveal itself a bit. The piece that will close the first half is Joseph Craven’s Concerto for Tenor Pan in C. For this performance, Joseph will be flying in to conduct the orchestra, as I am performing the solo part. The second half will begin with Joshua Burel’s work Incomplete (six), a fifteen minute work exploring the nature of Man’s incompleteness without God. Closing the concert will be Daniel Nelson’s Clarinet Concerto, with the solo part being performed by Lisa Kachouee. This piece is fantastic and will surely be a crowd pleaser! DCA: After the group’s debut on Monday night, where do you see the Tallahassee Composer’s Orchestra going in the future? JW: It is hard to say right now where the TCO may go in the future. Certainly the vibe in rehearsals is that this is something that should continue, and the performers all seem quite enthused. What form any potential future projects take is still anyone’s guess. Since we draw heavily from the student population at FSU, there is certainly a concern about overtaxing the performers or distracting them from their studies. At the same time, if this were established to be something that occurs annually, then performers could know that ahead of time and set aside room in their schedules. In the future, we’d like to see TCO concerts split the program between two works from Tallahassee based composers and two works from composers outside the area. We certainly believe a group like this is valuable and hope it will continue to premiere new works and expose listeners to more of the great composers working today. 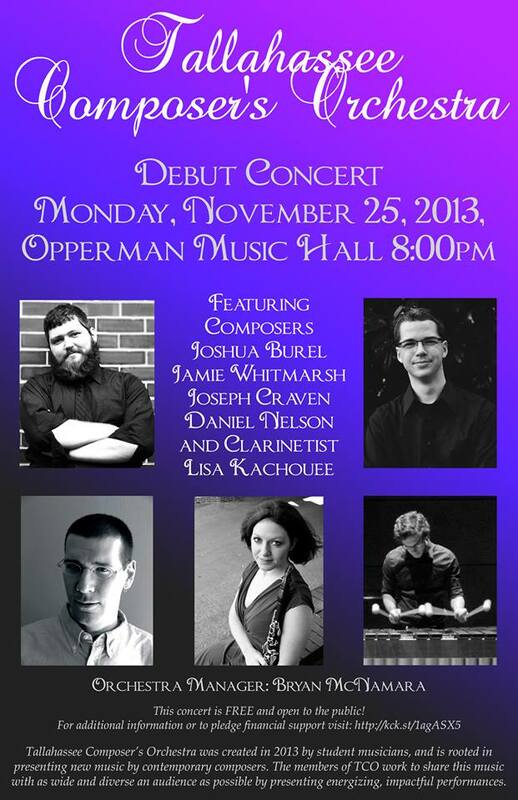 The Tallahassee Composer’s Orchestra debut concert will be in the Opperman Music Hall on Florida State University’s campus at 8:00 PM on Monday, November 25. The concert is free and open to the public. George Soffos. 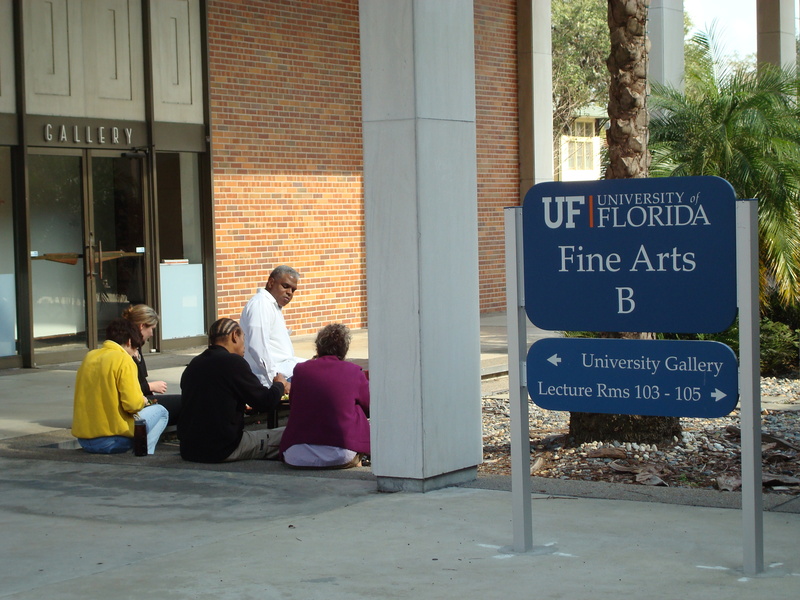 Image courtesy of the Florida Folklife Program. Florida’s Greek and musical communities lost an important member and resource last month when master bouzouki player George Soffos passed away. Soffos was widely considered to be the best bouzouki performer in the United States, and he actively shared his musical talents as a performer and instructor across the state. George Soffos was born on November 6, 1953. The youngest of five children, he grew up in Warren, Ohio. His Greek ancestry could be traced through his father, who was from Asklipio, Rhodes, and his maternal grandparents from Katavia, Rhodes. All three of his older brothers pursued careers in the music industry. When he was fifteen, his parents sent him to study with John Tatasopoulos, the most highly regarded bouzouki player of his day, in Washington DC. Soffos spent two years studying and playing with Tatasopoulos in clubs in the DC area, and at seventeen he began his career as an independent headliner in bouzoukia (Greek night clubs) in cities across the United States. He also toured internationally, performing in Montreal, Toronto, and numerous Greek cities, as well as in countless festivals and other special events throughout the U.S. Mr. Soffos’s career included performances on several recordings for Greek and Greek American artists, including Nikos Kritikos, George Evagoras, Hrach Yacoubian, and Grigoris Maroulis. 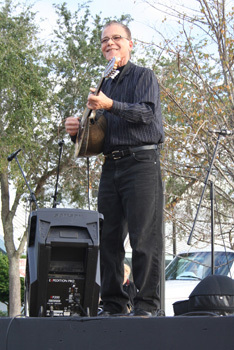 He frequently provided instrumental backing for Greek singing stars, such as Marinella and Rita Sakelariou, when they toured in the U.S.
After relocating to the Tarpon Springs area in the late 1990s to be near family, Mr. Soffos became the most sought-after performer at local Greek bouzoukia and festivals—and thus a valued community member in an area with a strong Greek cultural presence. Tarpon Springs has a higher percentage of Greek Americans than any other city in the country. The first Greek immigrants began arriving in the 1880s to work in the local sponge harvesting industry, and the city has maintained a strong Greek tradition ever since. Multiple Greek cultural events and festivals are held there each year including the Epiphany celebration, which draws thousands of visitors every January. Soffos was an active part of this Greek community. He became a mentor to many younger musicians by teaching bouzouki classes through the City of Tarpon Springs, which encourages the preservation of Greek community arts. Soffos continued the tradition of the bouzouki player as custodian and guardian of traditional Greek musical culture. The bouzouki is a Greek stringed instrument in the lute family that produces a sound reminiscent of a low-pitched mandolin. The instrument came to Greece through Turkey in the early twentieth century, but it had multiple precursors such as the Greek tambouras. The bouzouki is the central instrument in rebetiko, or Greek folk music, that underwent a popular revival starting in the 1950s. It has since been used to accompany a wide range of traditional and popular Greek genres, and an Irish variant recently became an important part of Irish traditional music. When Greek immigrants came to the United States in large numbers in the late nineteenth and early twentieth centuries, they brought their musical traditions with them, and following the revival of rebetiko songs in the fifties, a number of the top Greek bouzouki players came to the U.S., including Soffos’s teacher John Tatasopoulos. George Soffos continued this rich tradition and helped to see it flourish in Florida. Mr. Soffos recently began to experience the recognition his playing deserved. He received a Florida Folk Heritage Award in 2011, and was designated a master artist in the Florida Folklife Apprenticeship Program in 2011-12. George Soffos was most recently selected as a recipient for the 2013 Individual Artist Fellowship in the Folk and Traditional Arts discipline, but he passed away after suffering a heart attack on January 8, 2013 at the age of 59. His career spanned diverse contexts for music making in the Greek American community. He was a regular fixture in festivals and cultural events in Florida and across the country, and he shared his musical talents by teaching young musicians and establishing professional relationships with other performers. It could be said that George Soffos’s life represents the history of Greek music in America over the last four decades, and his contributions to Greek music in Florida will continue to be heard for many years. Early on in Enid Shomer‘s professional writing career, she won the Florida Division of Cultural Affairs Individual Artist’s Fellowship for literature. 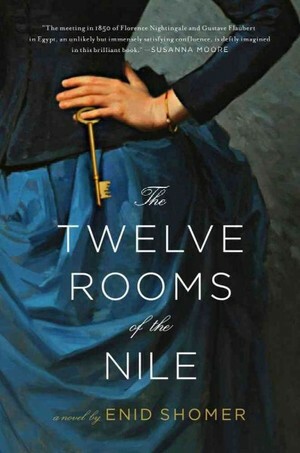 Last month, Enid’s first novel The Twelve Rooms of the Nile was named by NPR as one of 2012’s best works of historical fiction. The book tells the story of Florence Nightingale before she came to prominence during the Crimean War and Gustave Flaubert before he began writing Madame Bovary. According to the book’s description, “She is a woman with radical ideas about society and God, naive in the ways of men. He is a notorious womanizer, involved with innumerable prostitutes. But both are at painful crossroads in their lives and burn with unfulfilled ambition.” On a trip along the Nile in 1850, these two travelers ignite an unlikely friendship and share some of their deepest secrets and most fervent hopes, all colored by the exotic backdrop of mid-nineteenth century Egypt. Shomer has had her poetry and fiction published widely, and her work has appeared in The New Yorker, The Atlantic, Paris Review, Best American Poetry, Best New Stories from the South and many other magazines as well as more than seventy anthologies and textbooks. As a Visiting Writer, Shomer has taught at the University of Arkansas, Florida State University, and the Ohio State University, where she was the Thurber House Writer-in-Residence. In 2002, Shomer became the Poetry Series Editor for her former poetry publisher, the University of Arkansas Press. 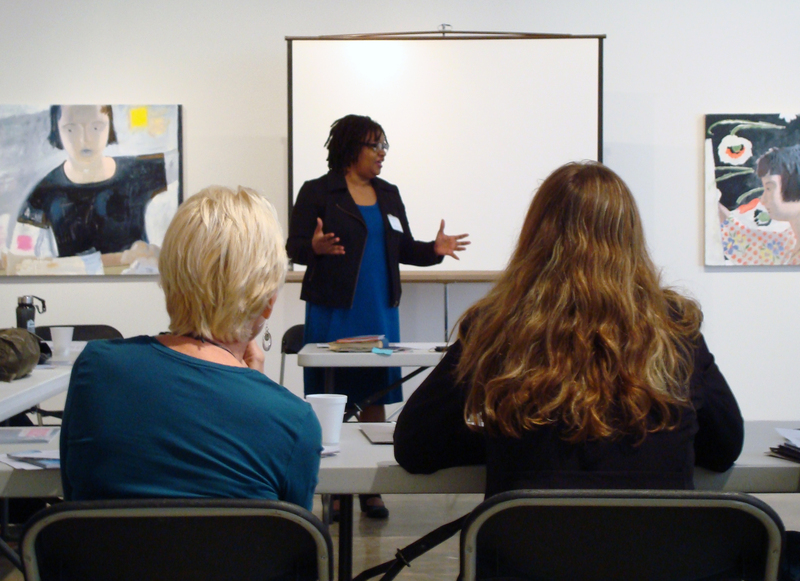 Most recently, she has taught in the MFA program at Ashland University and the University of Tampa. When I won my first Individual Artist’s Fellowship, it was not only financially helpful; it also reinforced the choice I had made to put everything else aside and “go for” a career as a full-time writer. Five years later (by this time I had published a book of poetry) a second grant enabled me to work on a project that became my first book of fiction, Imaginary Men, which won the Iowa Short Fiction Award and the LSU/Southern Review Award, both given annually for the best first collection of fiction by an American writer. Of course, three state grants totaling $15,000 over a lifetime cannot change anyone’s economic status, but it is enough money to invest in a good computer, to cover the cost of office supplies, clerical help, printing, even travel to meet one’s agent or for research, and so forth. 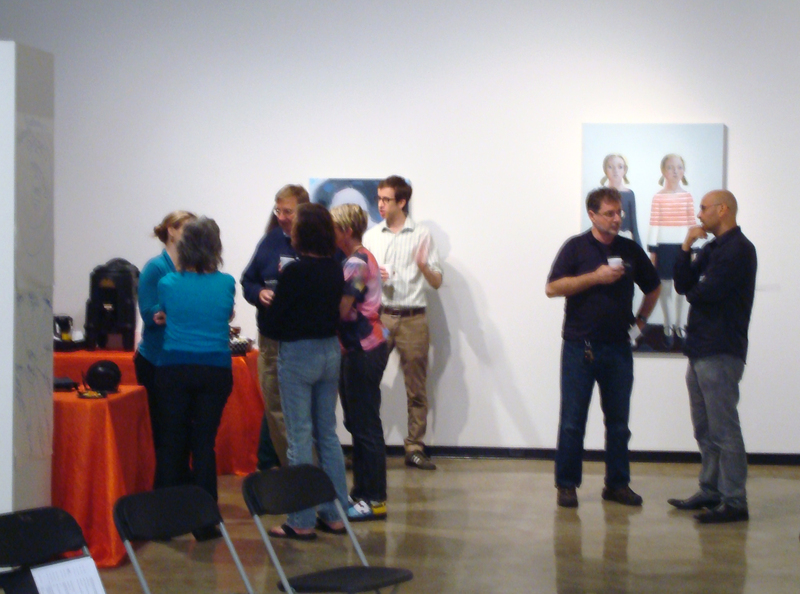 Equally important for me was the impact of other peoples’ confidence in my own talent. 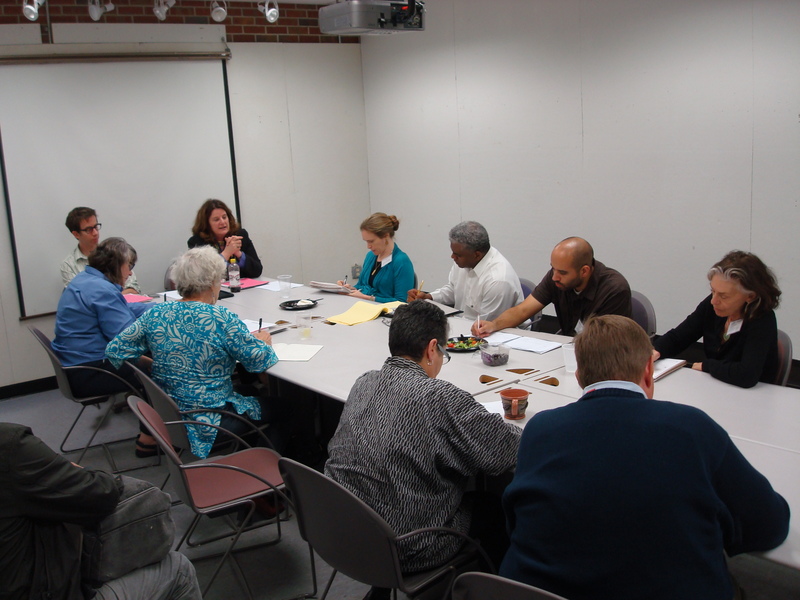 Poets and fiction writers work in isolation. 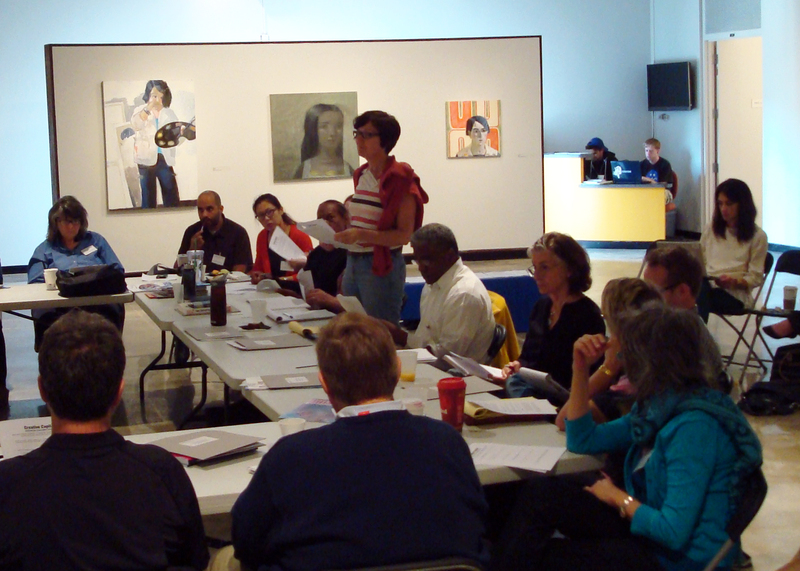 It is the vote of approval and most of all the interest of one’s peers—the judges and the Arts Council—in one’s work that makes these grants so meaningful. I felt incredibly grateful, even indebted, to my home state, an obligation I discharged by serving as a judge three times on the Literature panel. The Florida Division of Cultural Affairs would like to congratulate Ms. Shomer on the success of The Twelve Rooms of the Nile and thank her for the contributions she has made to Florida’s literary community. You can also read the first chapter of the novel and listen to comedian and writer Russell Kane interview Ms. Shomer for BBC Radio here. The Twelve Rooms of the Nile is now available for purchase in your local bookstores and online. 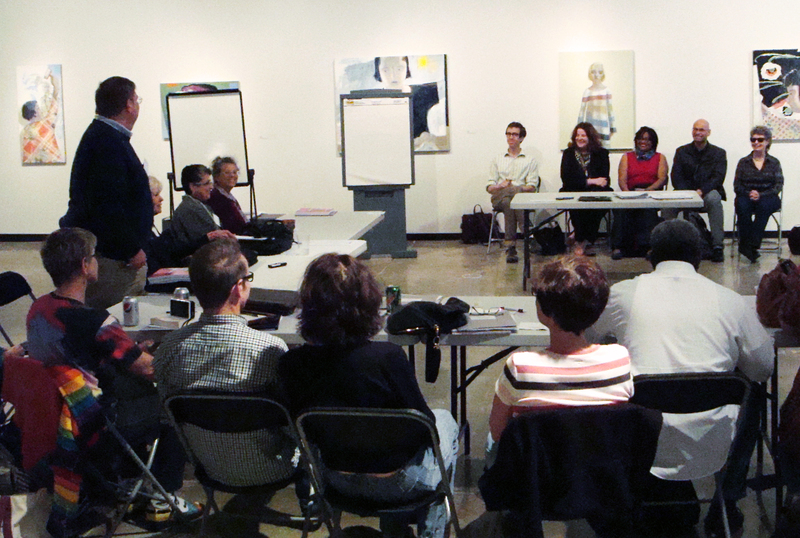 Learn more about our Individual Artists Fellowship at the Division of Cultural Affairs website. While Chuck Owen directs the Center for Jazz Composition at the University of South Florida School of Music in Tampa, his compositions reflect a musical taste that include many genres alongside jazz. He has said, “Years of classical piano training, performance with jazz rock/funk bands as a trombonist, and ongoing appreciation of American folk music traditions as well as those from many other countries – particularly in Latin America & Europe – have all shaped my outlook as a composer. Although I never set out with the notion of forcibly trying to ‘fuse’ these elements – I delight in playing with what, at least to me, seems like their natural intersections.” In playing with these intersections, Owen has amassed an evocative and delightful body of work. Individual Artist Fellowship Recipient Chuck Owen. Photo used by permission of Chuck Owen. Many of Owen’s compositions have been performed by Jazz Surge, his big band founded in 1995. Additionally, he has composed for the Smithsonian Jazz Masterworks Orchestra, Netherlands Metropole Orchestra, Tonight Show Orchestra, Cincinnati Pops Orchestra, Dave Liebman Big Band, and Roger Williams. His compositions have won him previous Individual Artist Fellowships from the Florida Division of Cultural Affairs, an ASCAP/IAJE Commission in honor of Louis Armstrong, and a John Simon Guggenheim Memorial Fellowship. He has also served as a panelist for major awards, most recently chairing the Pulitzer Prize in Music panel in 2011. In addition to composition, Owen is a dedicated educator who has received numerous accolades for his teaching at USF and served as President of the International Association for Jazz Education from 2006 to 2008. This piece, which evokes a sense of place that stretches across the nation, also stretches Owen’s music into new areas, reaches new audiences, and has fostered new professional relationships with musicians outside the jazz world. Featured soloists for the recording are Jack Wilkins (tenor saxophone) and LaRue Nickelson (guitar). Also prominent though not in featured roles are Corey Christiansen (acoustic guitars), Rob Thomas (jazz violin), and Danny Gottlieb (drums). In addition, Owen used the members of the Jazz Surge big band (some of whom have been with him for over 15 years) as the core ensemble which he then surrounded with orchestral players – most of whom hail from the Florida Orchestra. Watch for River Runs: A Concerto for Jazz Guitar, Saxophone, and Orchestra in April. To learn more about Chuck Owen’s career and hear some musical examples, go to http://www.chuckowen.com, and to learn more about the jazz program at USF, visit the program’s webpage here. We would like to congratulate Mr. Owen on his receiving another Individual Artist Fellowship from the Florida Division of Cultural Affairs, and we look forward to working with him over the next year.